As part of the decommissioning process so far we’ve ensured the server is not in use by users nor devices on the network and switched the server off for a short period of time. After switching back on, we’ve began the removal process by deleting the legacy Offline Address book. We’ll continue with the decommissioning process by removing databases and then uninstalling the staging server. 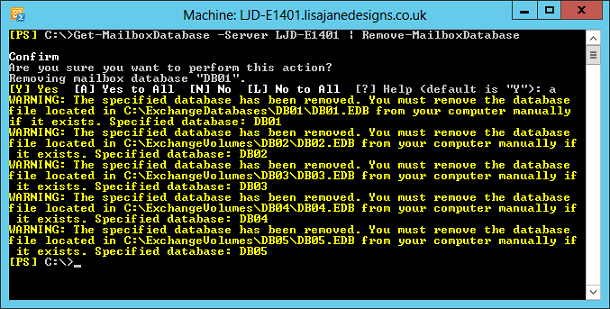 We only have one type of Database we need to remove from our Exchange 2010 staging server - Mailbox Databases. After removal though we will need to rename the Exchange 2013 databases to their final name. After verifying that no mailboxes exist on the server, we're ready to remove the databases. 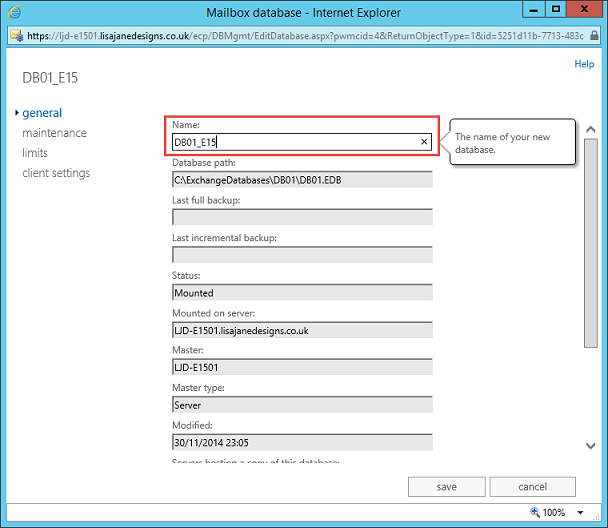 As part of this process Exchange 2010 will double check that no mailboxes exist - it's not going to let us remove databases that still contain mailboxes. 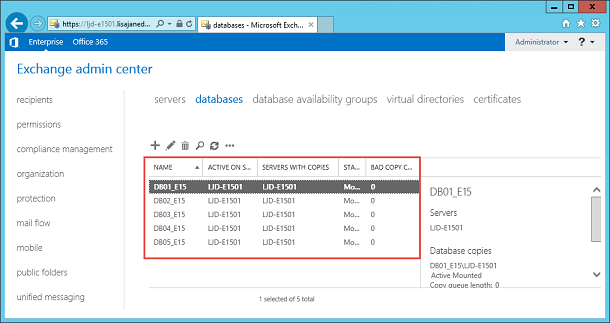 As part of the setup process for Exchange 2013 we used temporary names for our Exchange 2013 databases as we’re using the same convention for both Exchange 2010 and 2013. As we see in the example above it is quick and effective to change the DB names this way, so if you have a larger number of databases in your environment this may save time. After choosing Uninstall we'll expect the setup program to continue with removal of Exchange 2010. After it completes successfully we'll be done from an Exchange Server point of view and can if required remove the Windows Server from the domain safely. Now you’ve completed your upgrade to Exchange 2013 you should find that the ongoing maintenance required is at least as little, if not less, than Exchange 2010. Reliability improvements mean that most failures will be picked up by the managed availability service and automatically corrected for you. If you prefer to administer Exchange using PowerShell, you’ll also find these same notifications available by using the Get-Notification command. 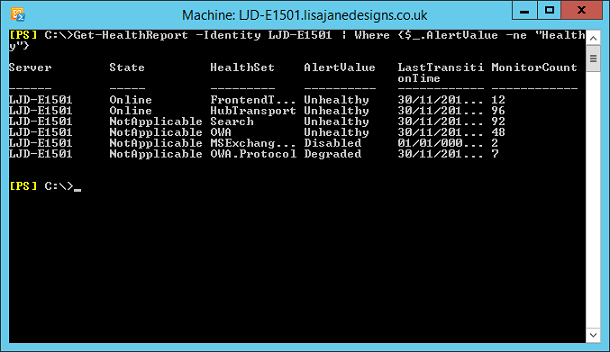 A summary of the current health status of the server can be obtained using the Exchange Management Shell. This information is based on Managed Availability Health Sets which use a variety of probes to check the status of various system components. 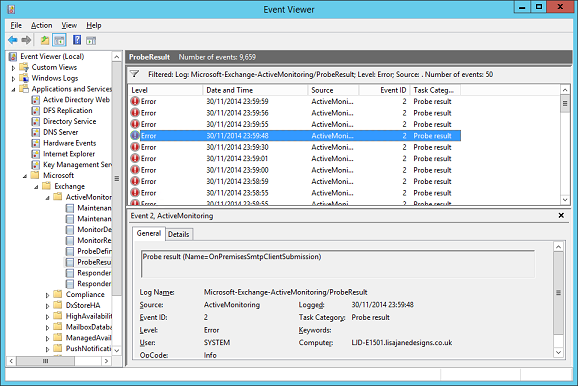 Regularly review the Event Logs of the Exchange 2013 server to look for any critical errors. You’ll find useful information in the System and Application logs, but don’t discount the Exchange-specific logs, found within Applications and Services>Microsoft>Exchange. We performed extensive work to understand the sizing requirements for our environment before we implemented Exchange 2013, however this doesn’t mean you can discount regular checks of free disk space. For example if we designed our Exchange environment to cope with 7 days without backups, then as day 8 passes we would without successful backups expect the drives housing our Log files to fill up – a disastrous situation. Monitor both the current usage and trending growth over time of both your system drives, and your Exchange data drives. If your design includes a traditional backup solution, and is a small implementation like the one we’ve built within this series then ensuring backups are successful is critically important. Not only should you ensure your backups complete successfully, but you should also ensure that you perform regular test restores. It’s especially common with smaller environments for the Exchange environment to fall behind on regular patching. 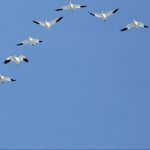 Ensure you understand the release cadence of Cumulative Updates and Service Packs, detailed on the Exchange Team Blog. Pay particular attention to the support period for each CU – you’ll have three months to update to the latest update after it’s released, so plan to patch at least once every six months. In this series we’ve migrated from Exchange 2003 to Exchange 2013. As Exchange 2003 is so old, we’ve had to migrate via an Exchange 2010 staging server along the way. 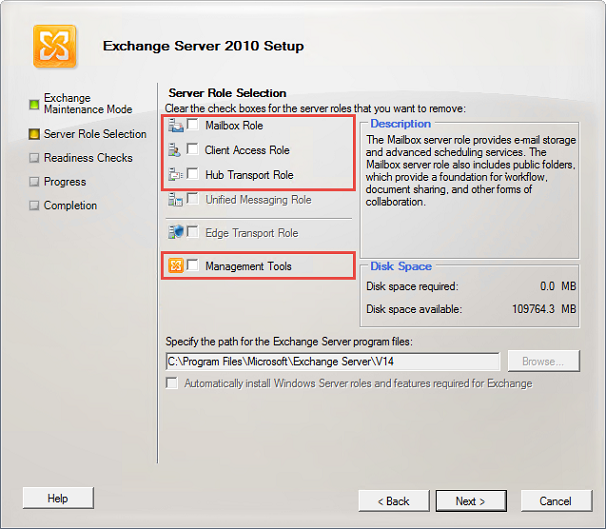 Although this is a complicated two-hop process we’ve simplified it as much as possible by removing unnecessary servers and keeping the configuration on Exchange 2010 and 2013 very similar.